A Moroccan coffee table has a unique design and most of it uses the wood material. It may have a unique pattern on its top or legs. You can find this table in antique stores and import stores easily. You don’t need to worry about which chairs or sofa that can accompany this table. It almost is suitable for traditional to modern seats. 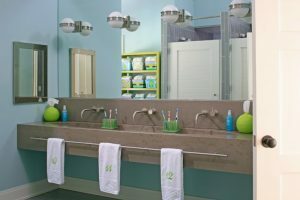 It may be little different but it will give a unique point in your home. 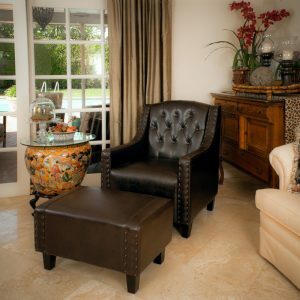 The following are some Moroccan coffee table ideas that will complete the furniture collection in your home. 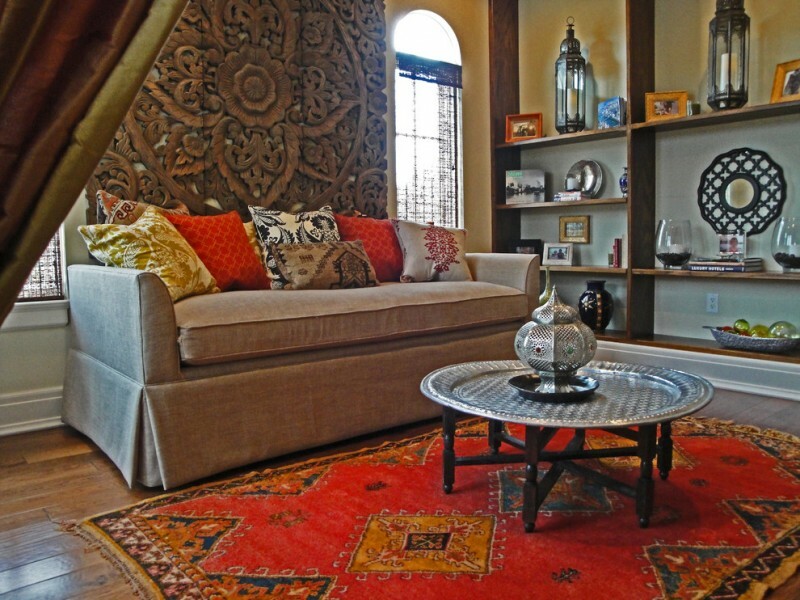 This living room is full of unique features, they are an antique Moroccan table, wine barrel chandelier, a painted Indian trunk, and a vegetable dyed Persian rug. 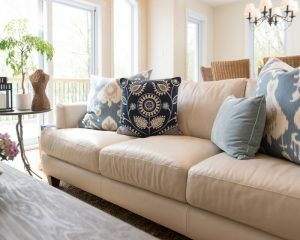 For the seating area, a sectional with a neutral color is provided. You can create a coffee table using an old Moroccan window which you put a piece of glass into and add four wooden legs. You can put some Moroccan floor cushions around this coffee table. This white bedroom looks adorable. 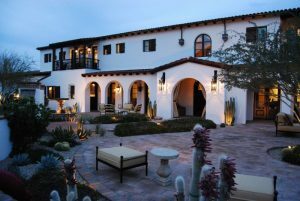 It features a white bed, white bedding, an antique white Moroccan coffee table, a white sofa, white curtains, white area rug, a big mirror, and silver ottomans. 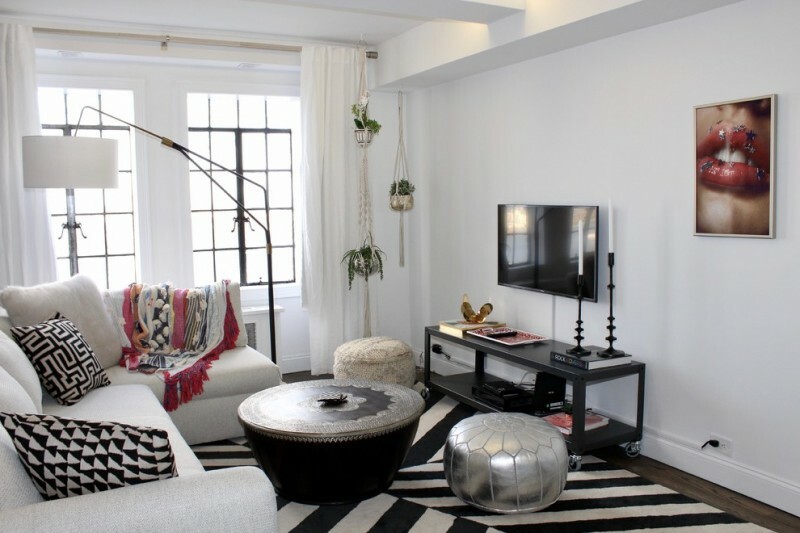 A Moroccan coffee table can be paired with this white couch and black and a large white rug. The unique pattern on the coffee table increases the artistic touch in this family room. 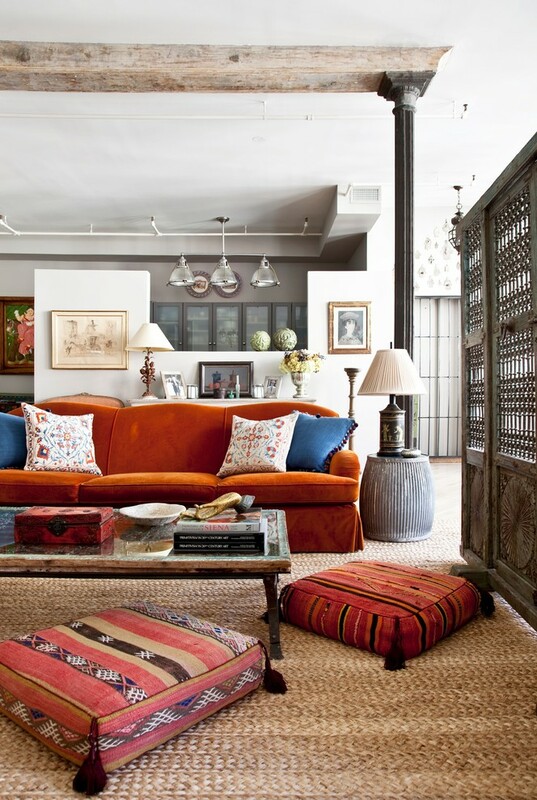 If you don’t really like pattern table, this blue and orange Moroccan coffee table is a choice. Its legs have a unique shape. This room is beautiful and has so much natural lighting from the full glass walls and windows. This space is located outside the bedroom and can be used as a reading nook or a place to relax. All authentic Moroccan accents in here are the rug, the silver coffee table, and the lanterns. 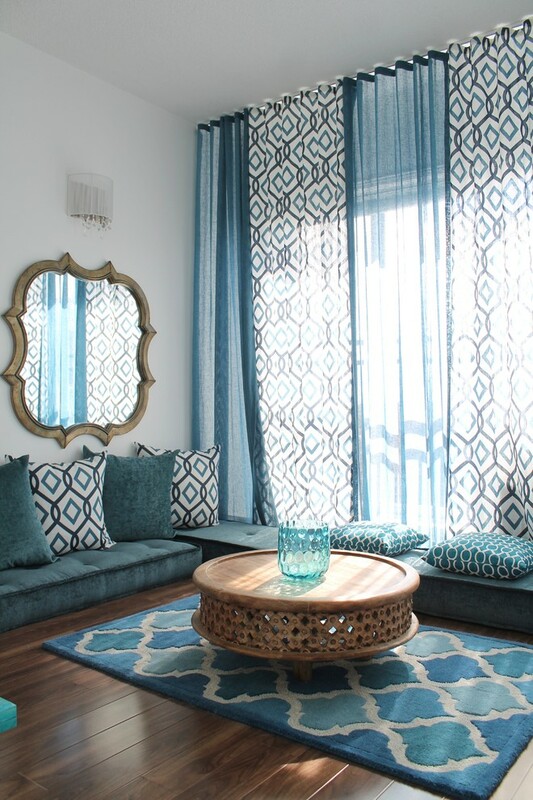 This room has a nice color combination of light turquoise and white geometric patterns. The Farista antique mirror, a wooden coffee table, and wood flooring make this room warm. 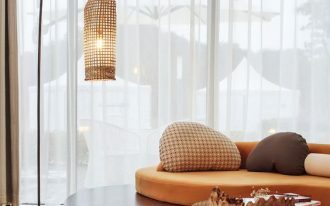 These cushions were also custom made to fit the space in this room. This room features a velvet brown tufted sofa, a Barbara Cosgrove Glitz table lamp, a floor lamp, a vintage Moroccan coffee table, and a Hegan hazelnut rug. 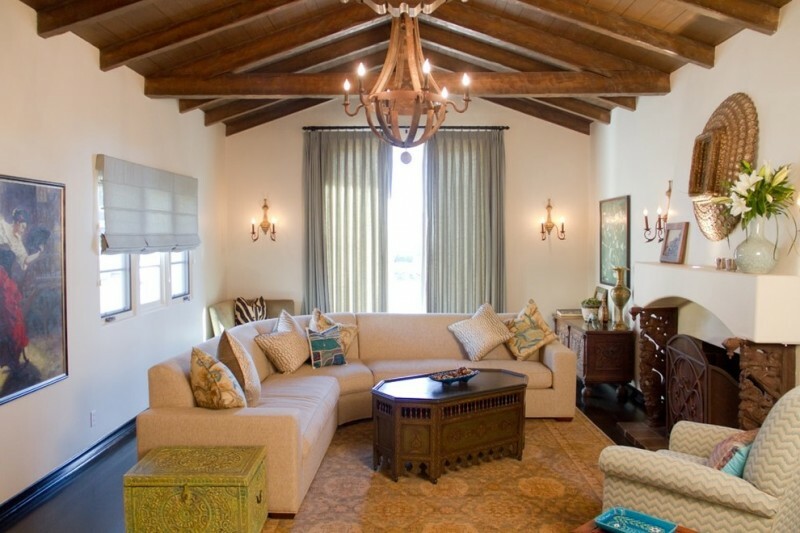 This Mediterranean family room has built-in sofas for seating, a wooden Moroccan coffee table, a standard metal fireplace, and brown wood walls. The area rug and some pillows bring colors in this wooden room. 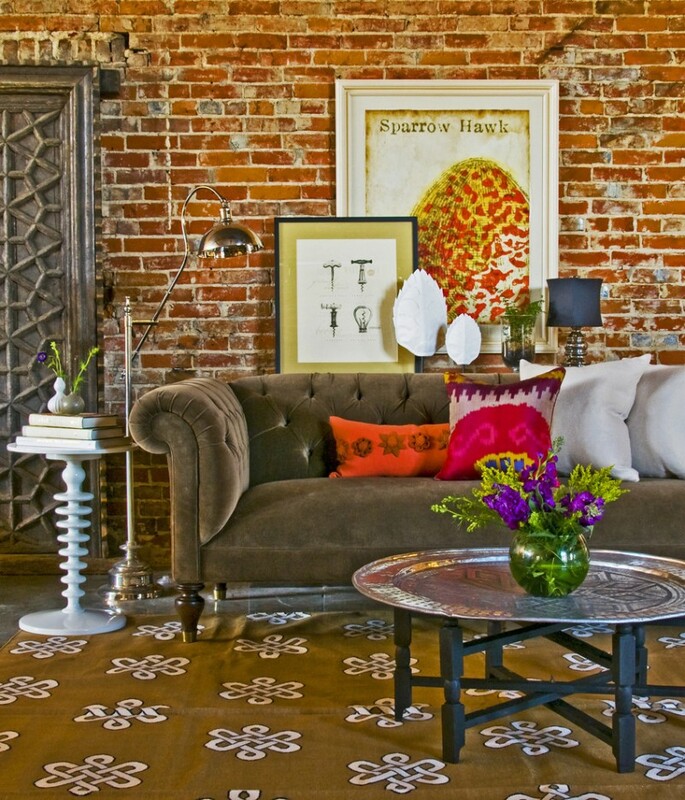 This space shows us a vintage collection, bohemian style, and subtle art decoration. 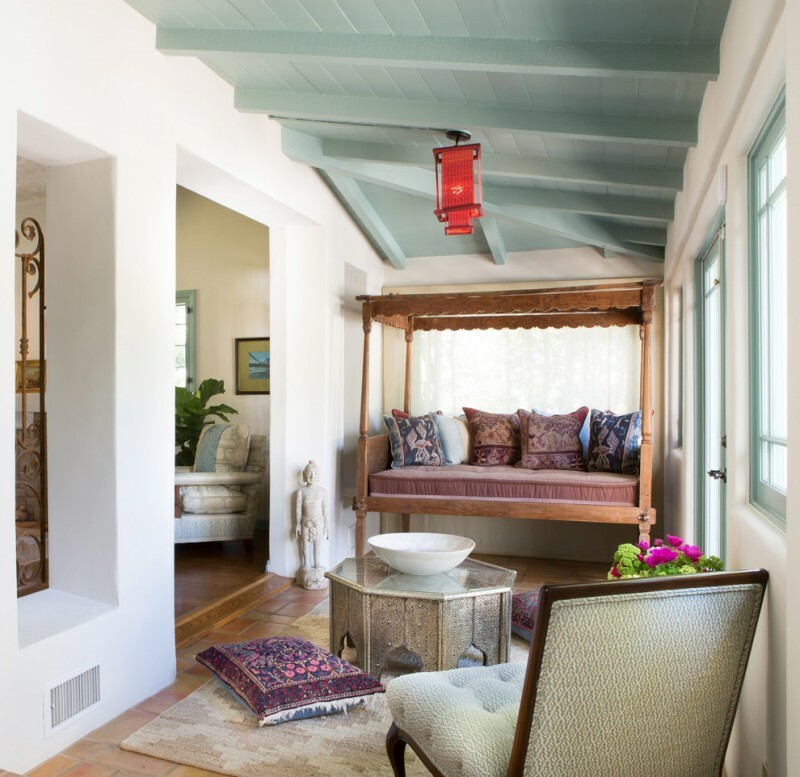 The highlights in this space include a Moroccan coffee table, a small rug, patterned floor pillows, and a red paper lantern. 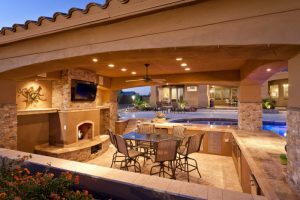 This relaxing space also offers comfortable seating.